Just Fold It, designed by Kutarq Studio, won in the Contract/Partitions and Wall Systems category in Interior Design’s 12th annual Best of Year Awards. Project and product winners were announced in New York City at Frank Gehry’s IAC Building on December 1. Winners, selected from nearly 2,300 submissions, were named in 113 categories and we’re absolutely honored to be named a winner. 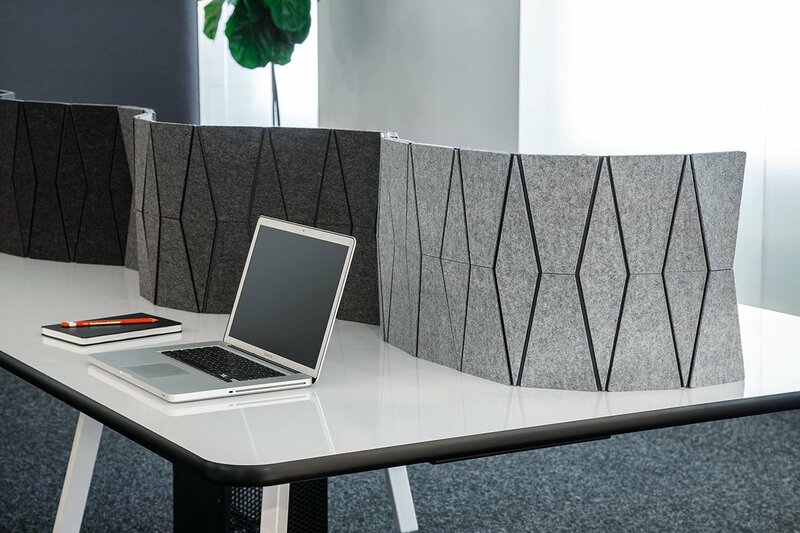 Designed to be a reconfigurable and portable desktop screen, Just Fold It is made of panels of 100% wool felt mounted to a durable stay material and the integral, flexible nylon hinges allow reconfiguration by simply shifting the faceted sections. These hinges also allow the screen to lay completely flat for efficient storage or roll up to be taken along.